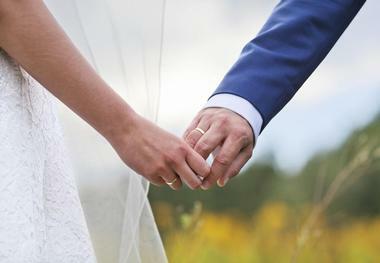 Maine is the perfect spot for a wedding, with so many venues to choose from in this vast state. You can have your special day in an historical building, an old barn, along the ocean, in a gorgeous hotel, or in the great outdoors. No matter which part of Maine you are in, you will have venue choices for weddings of all sizes, all of which have a team dedicated to making your day unforgettable as well as picture perfect. As soon as you decide what you want from your wedding day, you can browse the options and find the perfect venue for you and your spouse-to-be to tie the knot. Considered a premiere wedding destination in New England, the Barn at Silver Oaks Estate provides a waterfront surrounded by woods for a rural feel. Even so, the location is easy for your guests to find. For added convenience, this venue can also provide accommodations for as many as 30 guests. All packages include tables and chairs, parking, security, a private dressing room, and a professional venue representative on-site, among other amenities. There are no corkage fees and you have access to the full waterfront estate for spectacular photos. The barn itself has 5,000 square feet, fitting about 700 guests standing or 400 seated for dinner. 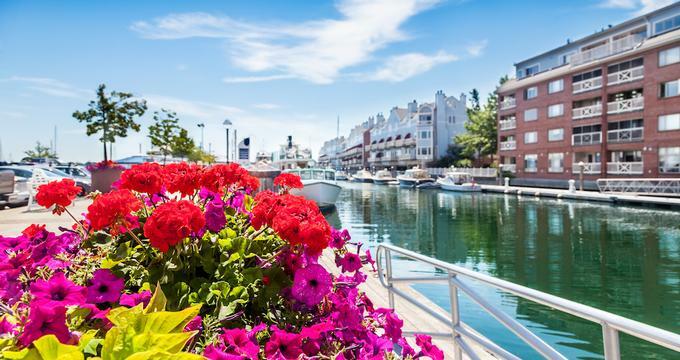 The Bar Harbor Inn & Spa is within Bar Harbor’s heart, with views of the Porcupine Islands and Frenchman Bay. The eight landscaped acres are perfect for photos and your guests will appreciate being able to stay on site, a few minutes’ walk from downtown. This oceanfront venue can accommodate weddings of all sizes, from two up to 150, with reception spaces that feature views of the ocean. 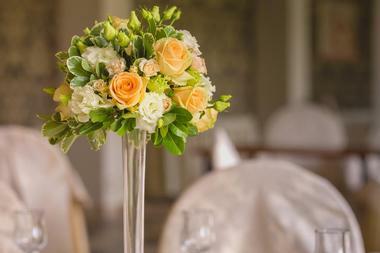 The venue has experienced wedding coordinators to offer you a stress-free experience. 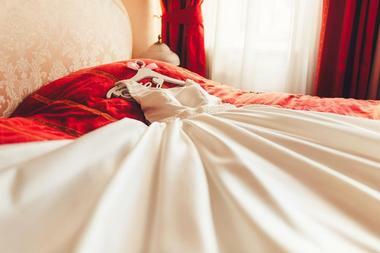 The inn can also provide spa services before the big day and help with a post-wedding brunch or the rehearsal dinner. The Red Barn is the most recent addition to Outlook Farm, having been built in 2007 as an event space designed particularly for weddings. The barn is perfect for weddings with a rustic feel, fireplaces, air conditioning, and a covered veranda. The New England charm on this property pairs with its subtle elegance and there is plenty of room for the ceremony and reception. Take your wedding photos with the 18-hole championship golf course as the backdrop. 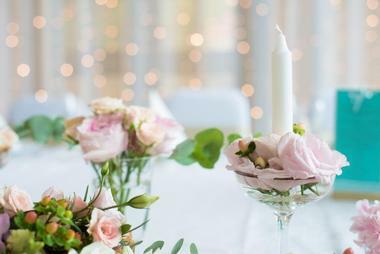 To make your day as stress free as possible, all wedding packages include onsite catering and event coordinators, the bridal suite, flatware, china, table linens, cake cutting, a champagne toast, and more. Granite Ridge Estate & Barn provides two choices for your wedding venue, the lodge or the barn. The Estate Lodge features 18-foot cathedral ceilings, timber frame construction, a large granite fireplace, a commercial-grade stainless kitchen, and panoramic mountain views. If you choose to have your wedding in the lodge, you can also spend the night there afterwards as it comfortably sleeps 15 and has a hot tub. The barn has newly constructed yet rustic bathrooms, seating for as many as 233 people, a side patio for a cocktail reception, a large dance floor, 28-foot cathedral ceilings, panoramic mountain views, and other details. The venue at Maine Wedding Barn & Event Center used to be a thriving dairy farm. After extensive renovations, the barn is now ready to host your wedding with one of the biggest open-style barns in the state. The barn as well as the Bridal Farm House sit on 108 country acres with views of Maine’s Western Mountains. Even so, it is just 5 minutes from Lewiston-Auburn, where you and your guests will find top restaurants and hotels. The Bridal Farm House is your bridal suite, allowing you to get ready in a charming farm house just steps from the barn, complete with air conditioning and antique furnishings. 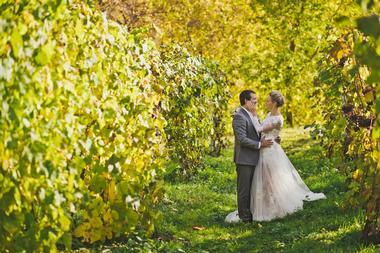 This Vineyard and Cidery is a rustic barn ideal for a fairytale wedding. The property covers more than 500 acres of land on Hills Ridge and delivers 360-degree views, including of the White Mountains and Sabattus Pond. The result is plenty of photo opportunities and your choice of picturesque settings for your ceremony. The wedding barn was built in the 1860s and features antique cedar shake siding with double-sliding entrances for a feeling of openness. Consider having part of your wedding in the Vista Room or the Sawyer Room in the big red barn. Wedding packages include whiskey barrels for the ceremony, a fire pit with wood, a dance floor, and more. The 1812 Farm has rustic beams, soaring ceilings, and sparkling chandeliers in this restored barn from the early 18th century. Take photos or relax in the lush gardens before or after the ceremony, making sure to snap some pictures by the fountain or the pond. The barn has 2,100 square feet of space and an attached deck featuring high top cocktail tables. 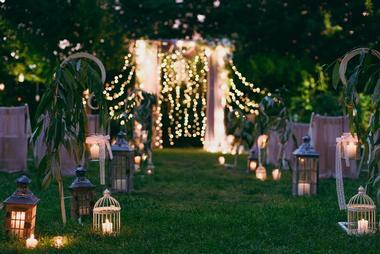 Or use the lawn with its professional gardens and landscaping and space for tents to fit 200 guests. Before the main event, get ready in the Bristol Suite, complete with a snack and sparkling beverage. 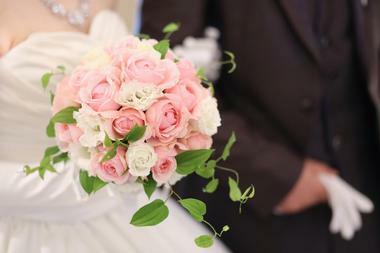 This venue lets you have an intimate affair or a grand wedding. The York Harbor Inn is a romantic and historic setting with 5,000 square feet for banquets and weddings, including seven private function rooms, many of which feature fireplaces and ocean views. Brides will want to check out the Yorkshire Ballroom, in particular, with its 35-foot cathedral ceiling, skylight atrium, and 3,000 square feet of space. This venue also specializes in ocean-side wedding ceremonies and you and your guests can stay in one of the 61 upscale inn rooms. Wedding packages include a chilled champagne toast, dinner, hors d’oeuvres, personal wedding planning and coordination on the day of, morning mimosas for the wedding party, and a complimentary guestroom, among other amenities. The 3,000-square-foot ballroom at Jonathan’s Ogunquit is ideal for your wedding, complete with restrooms, a dance floor, a stage, a full bar, and a banquet kitchen. The four dining rooms are ideal for the rehearsal dinner or a more intimate reception. 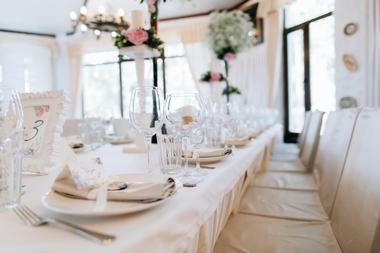 Because of the various spaces available, you can have between four and 400 guests at your wedding. Each dining room has fine local antiques and art, with the Aquarium Room featuring a 600-gallon aquarium and fireplace. There is also a gorgeous ballroom for larger affairs. 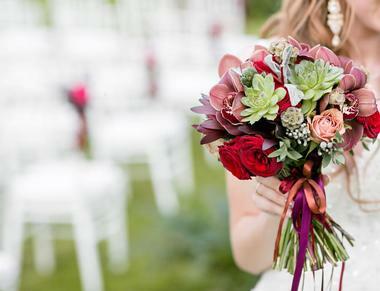 With over 40 years of experience, brides can trust Jonathan’s to host their special day. Hardy Farm began in 1750 as a working farm and stayed in the same family for an impressive ten generations before being purchased in 2002 and renovated in 2013 to become a unique wedding venue with a rich history. Guests, along with the bride and groom, get to enjoy gorgeous rural New England while still being close to major cities for accommodations and more. Hardy Farm’s properties can host 32 people overnight between the house and lodge, perfect for the wedding party and close family. The 1835 barn features chandeliers and white-washed walls with dramatic staircases and a mezzanine. Maine Lakeside Cabins has eight private cabins for you and your wedding party to stay in plus a gorgeous lodge for the actual event. The lodge has 5,000 square feet of open space, including more than enough for your guests, dance floor, and a DJ. There is also an outdoor dining hall, so you can cater the wedding under cover if you prefer. The nature-filled setting of Maine Lakeside Cabins makes for truly gorgeous photos of your special day and this is the only resort within the area that has deep water access, making it possible to take wedding photos on a boat. The Bethel Inn and Resort has everything you need for your wedding, from an event space to photo opportunities to guest accommodations. Thanks to resort amenities, your special day can become a full weekend filled with amenities. 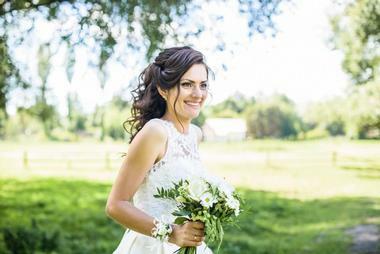 Wedding packages are incredibly affordable per person and can include things such as private hospitality rooms, horse-drawn carriages, fireworks over the golf course, cake, flowers, music, and photographers. Before the big day, spend some time in the resort’s spa with your bridesmaids to get pampered before you say your vows. During the summer, you can add golfing to your wedding activities or add skiing in the winter. French’s Point sits on a peninsula with views of Penobscot Bay, delivering picturesque views for your special day that will make for one-of-a-kind photos. Your photographer will get all the inspiration they need from the 100 acres preserve and blueberry fields. The custom sail cloth tent can accommodate 200 guests and has clear side walls so you can enjoy the views. Or have your wedding by the 1764 farmhouse, with its full kitchen, high-speed Wi-Fi, and space for 30 guests to spend the night. The retreat and the farm each have seven different venues with space for 20 to over 200 guests. William Allen Farm provides a picturesque setting for weddings in its 200-year-old barn, or enjoy an outdoor wedding on the 63 acres of fields and woods surrounded by old stone walls you will want to take photos in front of. 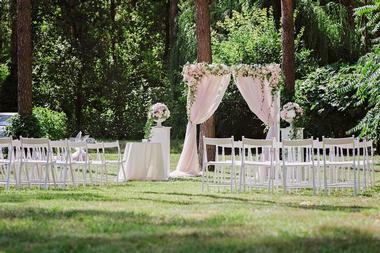 The open lawn, gardens, and pond help create the perfect spot for weddings of any size. 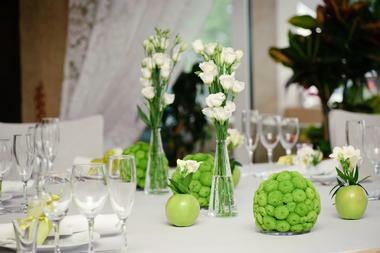 The space is ready to customize your wedding since no two special events are the same. The barn has space for as many as 200 guests for a seated dinner and they can help you find the right vendors from their preferred list. There is also plenty of parking for all your guests. 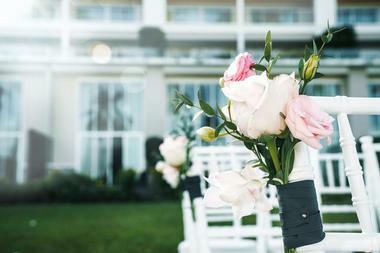 Spruce Point Inn provides unforgettable seaside weddings ranging from upscale rustic celebrations to elegant affairs. The inn prides itself on offering celebrations that last several days, featuring recreation, activities, dining, and more. Start with full bridal service at the Spa at Spruce Point and on the big day, arrive on the historical wooden sloop or the private antique auto or trolley. You can say “I do” on the inn’s Oceanfront Deck and then have the reception in the Pemaquid, the property’s post-and-beam ballroom with plenty of character. Seat your guests indoors or outdoors with a tented courtyard or the ballroom and space for 75 to 200. There are actually two barns at Flanagan Farm, which itself has 66 pastoral acres of land perfect for outdoor photos. The 19th century barn plus farmhouse provide plenty of character. Enjoy 2,400 square feet of space, with space for up to 250 guests or add 900 more square feet in the English-style barn. Have an outdoor cocktail reception on the bluestone patio and take advantage of the attached bar. The house can sleep up to 10 or 12 people, weather permitting, so your bridal party can stay onsite. You can even have your onsite ceremony at the woodland sanctuary and enjoy the fire pit later in the evening. This oceanfront destination is ideal for that picture-perfect wedding. 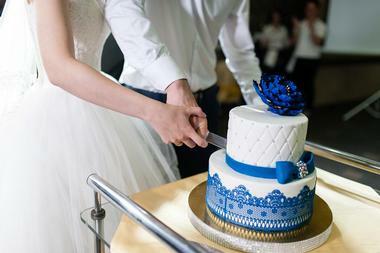 The venue has wedding specialists to provide stress-free wedding planning complete with custom menus. The private resort has 12 acres of oceanfront property for you and your guests to explore or take photos in front of. Have your ceremony by the water or enjoy an ocean-view cocktail reception in the gardens. The event center has a newly renovated ballroom. Those who want to stay on site can reserve The Willows mansion with its historical beauty and modern amenities. This venue has its own experienced catering team, which uses fresh local products your guests will rave about. The Spectacular Event Center has both event venue space and premium catering, making it a nice choice for a wedding that doesn’t require you to find a separate caterer. 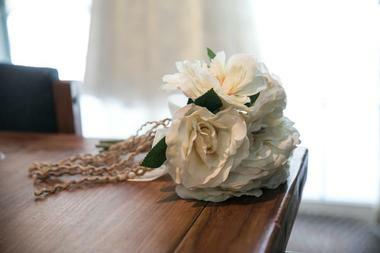 This venue takes care of everything for you, including decorations and linens. All of the dishes are made from scratch with natural ingredients. There are three all-inclusive packages with competitive pricing per person, including the decorations, room, optional bar service, and food. You can also get add-ons, such as a photo booth, balloons, decorative ceiling spheres, chair covers with bows, twinkle lights, and extra wedding coordinator services for a truly stress-free experience. Meadowbrook Reception Center has an elegant ballroom with a spacious dance floor and gorgeous backdrop. It is conveniently located and includes free DJ/MC services. All wedding packages include professional photography services, photo booths, sparkling cider toasts, a cash bar, a ceremony on site (with the officiant), tables, chair covers, and more. The space is very flexible since all weddings are unique and Meadowbrook Reception Center specializes in weddings, letting them help the day go off without a hitch. 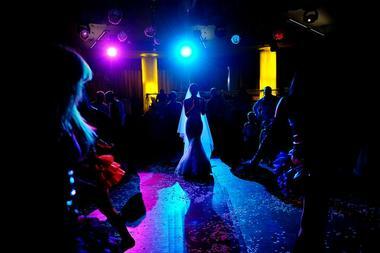 This venue even has dance lessons for couples who want to make sure their first dance is flawless, including excellent choreography and a few class options. 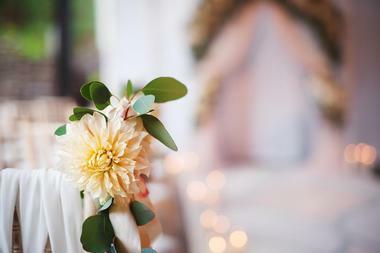 One of the specialties at Morgan Hill Event Center is hosting weddings, with a wide range of options to fit your mental image of your special day. 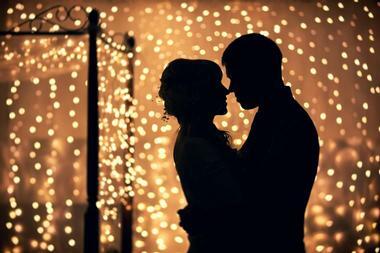 You can get married by the fire, outside, or wherever you want. The outdoor ceremony site has a white arbor, floral arrangements, and a fountain within the pond. Alternatively, the Ethan Room has a breathtaking granite fireplace and is also ideal for a reception, cocktail hour, and/or ceremony with up to 300 guests. The Morgan Room is perfect for more intimate weddings, with space for 60 guests, or it can provide more room for guests during a cocktail hour. The experienced staff on-site work closely with you and there is in-house catering that works with you to create a menu that matches your budget and tastes. Peakes Hill Lodge has 4,500 square feet of space in a rustic barn-like setting that is a Ward log building. 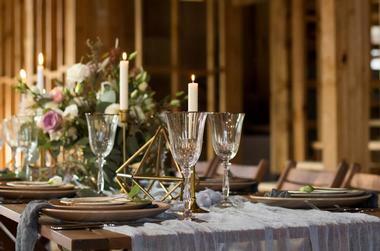 The lodge can hold 250 guests seated for dinner and includes a 1,100-square-foot dance floor. Every event also has a stage and a full cash bar. You can have your ceremony outside in the gazebo or on the stage inside. There is even the option of planning an outside ceremony with an indoor backup plan. 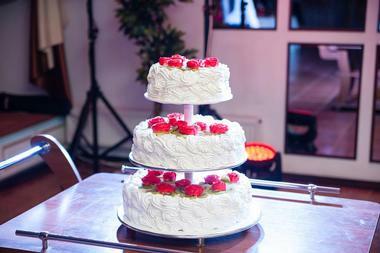 Peakes Hill Lodge has a full catering service with an extensive menu to choose from. They will work with you to find other vendors as well. Ocean Woods Resort sits on 10 private acres of land with wooded landscaping around it and easy access to saltwater marshes and the sea. This resort at Goose Rocks Beach is ideal for a wedding and the beginning of your honeymoon, with its guest rooms and private condos. The resort has multiple venue options, including both indoor and outdoor spaces for the ceremony, rehearsal dinner, reception, and a post or pre-reception party. Because it is a resort, you and your guests can stay on site. Have a casual wedding-related event in PJs Pub and choose from ceremony options like on the beach, on the deck, or by the pond. The Inn on Peaks Island is on Peaks Island, a quick 15-minute ferry ride that you and your guests will enjoy. This island location throws in fresh ocean breezes to go along with the venue’s wildflowers, fall foliage, or snow. The inn will work with you to customize your day and help you find vendors. There is a two-peaked tent, the Bayview Room, and other outdoor spaces to choose from. You and your guests can choose to stay in the inn as well, with multiple gorgeous suites to choose from, including a Jacuzzi tub and cathedral ceiling perfect for your first night as a newly married couple. For a unique wedding, consider having it aboard the Casablanca cruise vessel. This 85-foot charter boat has two decks, making it spacious enough for both the ceremony and reception. The boat can hold as many as 149 guests and it includes two fully stocked cash or credit bars. 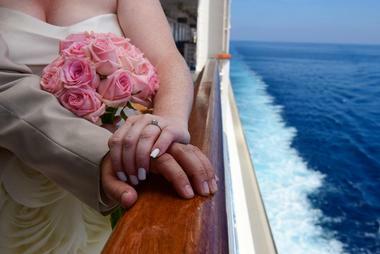 If you want, Casablanca Cruises will also gladly cater for your wedding to take away some of the stress. By getting married on this boat, you get a changing backdrop of gorgeous islands, lighthouses, and forts in Casco Bay. This lets you and your guests enjoy the bay and delivers a unique backdrop for your ceremony. The Portland Company dates back to 1846, when it was a locomotive foundry, and the property covers 10 acres that were once part an industrial site. Now, it has a small marina and some office tenants along with various industrial spaces unlike anything you will find anywhere else. 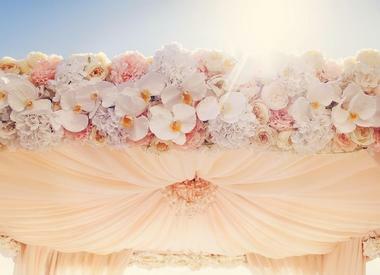 These backdrops are perfect for a wedding with plenty of character. Brides enjoy a combination of urban industrial feelings and coastal beauty with views of the water. The spaces all have floor-to-ceiling windows with views of the bay, exposed brick walls, and wood floors, with multiple sizes to choose from. There is even an outdoor choice for the ceremony at Fish Point Park next door.